Gone are they days where you can easily check all the fluid levels on a customer’s vehicles. Recently the owner of a Holden Cruze asked me to check the automatic transmission fluid during a service. Normally it would be part of a service to just dip the stick and check the level and oil condition. So taking a quick glaze over the engine bay there is no automatic transmission dipstick visible. This is where things get interesting a quick search of the manual shows there are three plugs. But that’s just the start, to top it all off GM have added an internal thermal oil control valve. At the bottom of the transmission there is a very small 7/16″ Hex drain plug. Be sure to drain the fluid when its cold and if flushing, try and keep the temperature below 60°C. (Tightening torque 11 Nm). 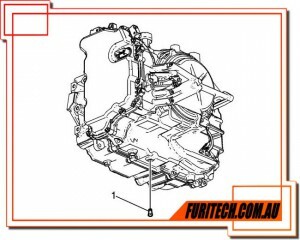 The filler plug is located on the top of the automatic transmission housing. Problem with the Holden Cruze is the battery is located directly above it. Luckily we had a bit more of a look around and found a small rubber plug over the back of the transmission where the speed drive would normally be located. Recommended Fluid is Dexron VI or Mercon LV Automatic Transmission Fluid. 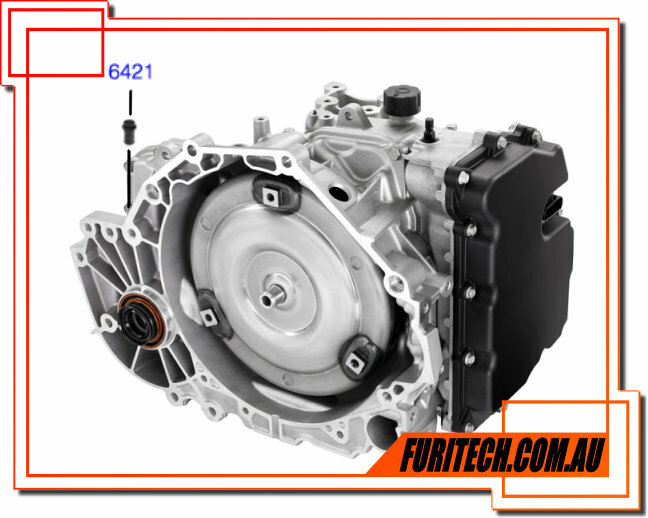 Start by filling the transmission with 4 liters of recommended fluid then start the engine and allow to idle approx 700rpm. Then depress the brake pedal and select the drive then reverse, allowing the gears to engage then select Park. To set the correct fluid level, there is another 7/16″ Hex plug located next to the passenger side driveshaft. With the engine running and the selector in Park remove the plug and watch the oil to run out. No Fluid? Continue to fill the transmission until fluid starts to run out (Watch Transmission Fluid Temperature). Fast Flowing Fluid? Transmission is overfull allowed to drain until dripping. Dripping Fluid? 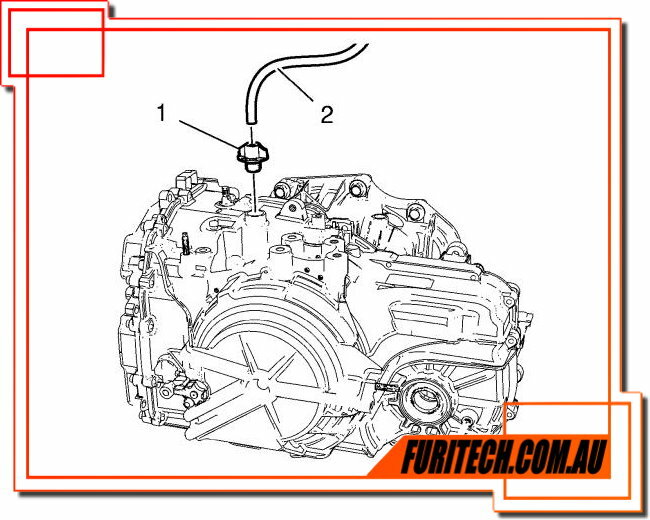 This is the correct level when the transmission fluid temp is between 85°C – 95°C (Tightening torque 11 Nm). 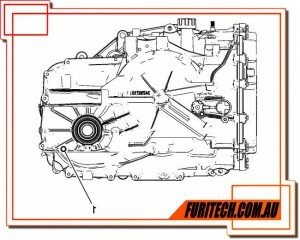 The 6T40/45 transmission is equipped with an internal fluid level control valve located in the valve body cover area. The valve is open below 60°C allowing fluid to flow around the valve body area. Above 60°C the valve closes allowing the valve body cover area to fill with fluid which could hold approximately 2 litres. 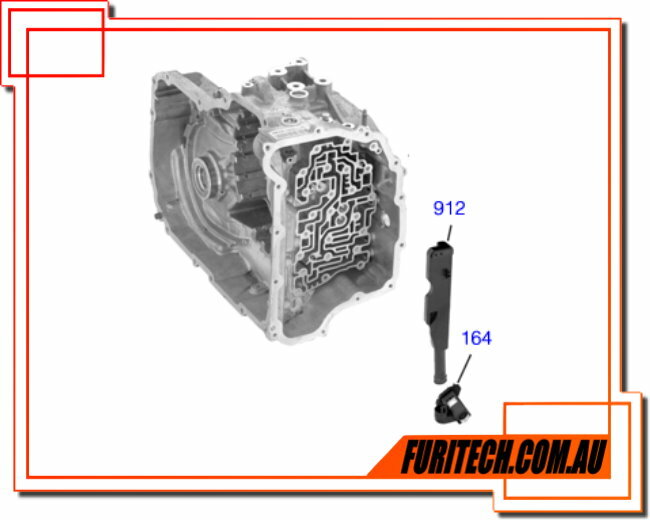 This is why the transmission fluid level needs to be set between 85°C – 95°C to set the correct level.